At the onset of Smolder, one of three lengthy improvisations that make up Ballister’s third album, Mi Casa Es en Fuego, the music begins as three separate entities. Or expressions. Or outbursts. Dave Rempis’ saxophone punctuation starts with a series of jabs and pops that eventually bounce about with an almost mischievous agitation. Countering that are the cello colors of Fred Lonberg-Holm that sound less like the product of an instrument usually thought of for its chamber-like qualities and more like the scratchy, electric disturbances of guitarist Marc Ribot. Underneath it all is Norwegian drummer Paal Nilssen-Love, whose playing can reflect frenzied immediacy one minute, brutal deconstruction the next and, in select passages, an icy calm. The Tri-Centric Presenting Series: The Trillium Chamber Players perform Anthony Braxton’s Composition No. 46, plus the James Fei Ensemble The music of Anthony Braxton, including Composition No. 46 (for chamber ensemble), Composition No. 146 (for 12 flutes, 2 tubas, and percussion), and Braxton’s Falling River Music Nonet, presented alongside new projects by James Fei, Nate Wooley, and Fay Victor…. The Tri-Centric Presenting Series: Anthony Braxton’s Composition No. 146 (for 12 flutes, 2 tubas, and percussion), plus the Nate Wooley ensemble. 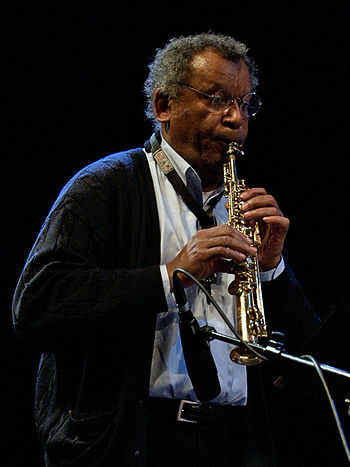 The music of Anthony Braxton, including Composition No. 46 (for chamber ensemble), Composition No. 146 (for 12 flutes, 2 tubas, and percussion), and Braxton’s Falling River Music Nonet, presented alongside new projects by James Fei, Nate Wooley, and Fay Victor…. The Tri-Centric Presenting Series: Anthony Braxton’s Falling River Music Nonet plus the Fay Victor Ensemble. The music of Anthony Braxton, including Composition No. 46 (for chamber ensemble), Composition No. 146 (for 12 flutes, 2 tubas, and percussion), and Braxton’s Falling River Music Nonet, presented alongside new projects by James Fei, Nate Wooley, and Fay Victor…. Anthony Braxton’s Trillium J (The Non-Unconfessionables): Acts I & II A semi-staged, multi-media concert performance of Braxton’s latest four-act opera, featuring a cast of 12 vocalists, 12 instrumental soloists, and full orchestra…. Anthony Braxton’s Trillium J (The Non-Unconfessionables): Acts III & IV A semi-staged, multi-media concert performance of Braxton’s latest four-act opera, featuring a cast of 12 vocalists, 12 instrumental soloists, and full orchestra…. [EAR HEART MUSIC] American Opera Projects and American Modern Ensemble – Two New Operas American Modern Ensemble (AME), in partnership with American Opera Projects (AOP) and presented by Ear Heart Music (EHM), performs “The Wanton Sublime & The Companion,” a pair of one-act chamber operas…. The 50th anniversary of the passing of Eric Dolphy, an American Jazz multi-instrumentalists whose legacy has hugely influential other jazz musicians, as well as musicians in other genres, such as Jimi Hendrix, Frank Zappa, and the Red Hot Chili Peppers, became a rallying point among the community members, who formed Seed Artist’s Board. They put together a major Dolphy celebration and the launch of the Freedom of Sound series as its coming-out party and the organization’s first step towards a major contribution to the arts, arts education, and a more engaged community. The core of this duo is the depth and originality of the individual voices combined with their intense listening and commitment to the present moment. It is intimate music, often raucous and always adventurous. And it is executed with minimal materials—a couple saxophones and usually, instead of a full drum set, just a floor tom and some percussion accoutrements. Wright is a somewhat underground figure in the U.S., at the same time legendary for giving revelatory performances that reach both experienced listeners and people unaccustomed to free improvisation. Drury works some kind of promethean magic on a floor tom, using it as a stage for a theater of small objects that he charms into producing amazing sounds. Also appearing are People (Noa Ben-Amotz and Chris Davis) and Onika & Allen. Mike Kluge brings you the first Future Night of 2014. This one features the music of The Perfect Hours, Autran, Lust and the Black Cat, and Gay Vibes and the installations of Adrienne Outlaw, Zach Adams, Yospeh Kennerly, David Wright Lagrone, and Dale Liska. The show will feature projections by Devin Lamp. Thrash violinist Joey Molinaro is passing through Nashville and will be joined by Graphic Tease, Marid, and Pleasuredome. Legendary organist Dr. Lonnie Smith will be performing with pianist Cyrus Chestnut. Don’t miss this one! Chris Murray is curating some “April Fools wackiness at Betty’s” for this show featuring Close Your Eyes I’m Changing, Flesh Control, Harvest Team, Night Moves, and a special guest.